The plastic surgery is not a new field of medical science but it has evolved astoundingly during the last decades. For different people, the meaning of a plastic surgery procedure is different. For some people, the plastic surgery can enhance the confidence. For some people, plastic surgery can cure a disability. Mean to say, people take it to solve a defect or enhance their looks. A plastic surgeon is a qualified, trained, and experienced doctor who specializes in performing particular types of procedures. It is true that a plastic surgeon must have certain knowledge, skills, and abilities to deliver promising results. Though most of the procedures work well, there are risks that can be avoided by seeing a qualified, trained, and experienced. As a matter of fact, every plastic surgeon needs particular knowledge skills and abilities to understand the gravity and complexity of the surgeries. The plastic surgery has evolved and is still evolving at an astounding pace. Today, we need the master of the game not the jack of all trades. Some plastic surgeons try to master all surgical procedures but the truth is; they may not be able to accomplish this aim. There are surgeons who specialize either in breast procedures or in liposuction treatments. As per the guidelines of the American Society of Plastic Surgeons, a board-certified plastic surgeon is the best person to perform plastic and cosmetic surgery procedures. The terms “plastic surgery” and “cosmetic surgery” have got different meanings. 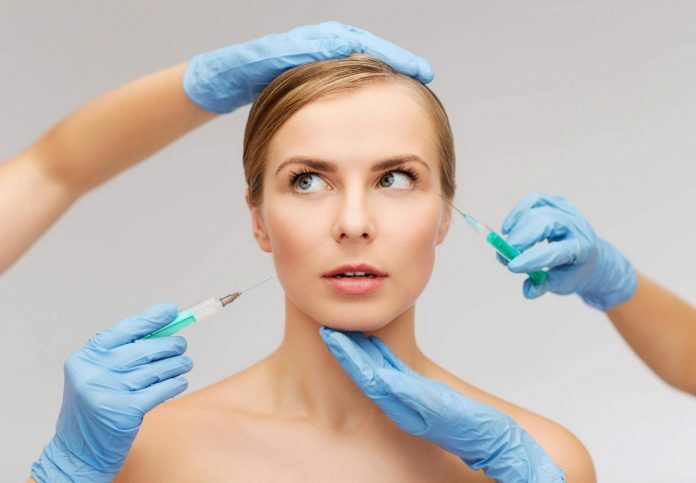 The number of women and men having plastic surgery is on the rise and there are many reasons for this increased number. As per the new research, more than 17 million cosmetic surgeries had been performed all over the world in 2016 alone. Are people taking their looks seriously? Are beauty trends changing? The increased number of plastic surgeries owe to the changing trends about body shape. The men with the shapeless body are more likely to try liposuction treatment while the women with a smaller breast size may consider a breast augmentation procedure. No matter what kind of cosmetic procedure you want to have, choosing the right professional to do the job is a must. As plastic surgery attracts a growing base of eager patients, a number of unqualified physicians and even non-physicians are jumping on the cosmetic bandwagon, donning white lab coats and all. In addition to meeting the surgeon in person, it’s also strongly encouraged to check their background to make sure they’re certified to handle the exact procedure you’re looking to have. To help patient select a qualified, skilled, vetted, and pleasant-to-be-around plastic surgeon, we talked with experts and former patients who know the industry’s ins and outs. Here’s what they suggest you do. 1. Talk to the people who have had work done to get recommendations. The patient reviews we read online may not be true. We need actual and true reviews about a particular procedure. The actual patient reviews can help a lot when it comes to knowing the firsthand accounts. If none of your friends and family members have had that particular treatment, try to contact anyone who has had this procedure. You are not going to trust anyone including your plastic surgeon because of your body and health matters. The best way to start your research is to study your procedure from reliable and neutral resources. The websites of clinics or surgeons often fail to maintain their neutrality. The websites where experts write informative articles can be of your great help. Just normal reading is not enough; you are going to have a critical analysis of all important points. Some websites do not clearly state the side effects and risks. It is your right to know all possible risks and side effects. Some people just go to Google and read just one page that is at the top of the search engine results page. This habit is not good; the best article might be lower in the ranking. 4. Check the qualifications of each of your candidates. For example, you are interested in the liposuction procedure. You should visit the nearby clinics and websites to find your options. Shortlist the plastic surgeons who specialize in liposuction. They must have performed a variety of liposuction procedures successfully. It is good not to make haste and take enough time to shortlist the right surgeons. The affiliation matters because it tells you about the repute of the doctor. Whether or not the doctors you’re considering have hospital privileges is another qualification box you will want to check off. The affiliation with a professional body is a plus point. If a plastic surgeon is board-certified, he is the best person to perform surgeries. When you conduct your research, you will come up with questions. It is necessary to ask all your questions during the initial consultation. It is important for the doctor to be helpful and friendly. When you ask your questions, he or she should satisfy you fully rather than trying to avoid your questions. For example, you are going to undergo a laser liposuction treatment, the surgeon must have the latest equipment to perform this procedure. There should be medical staff to take care of the patients who take a surgical treatment. Even if you book an appointment with a surgeon, you can change your mind before you book the treatment. So think carefully about all steps. If you see something fishy, you should enquire about it and you can cancel your surgery. Next articleMedications for hypertension – How to avoid them with a healthy lifestyle?